At last, an application to make Happy Hammers, even happier! 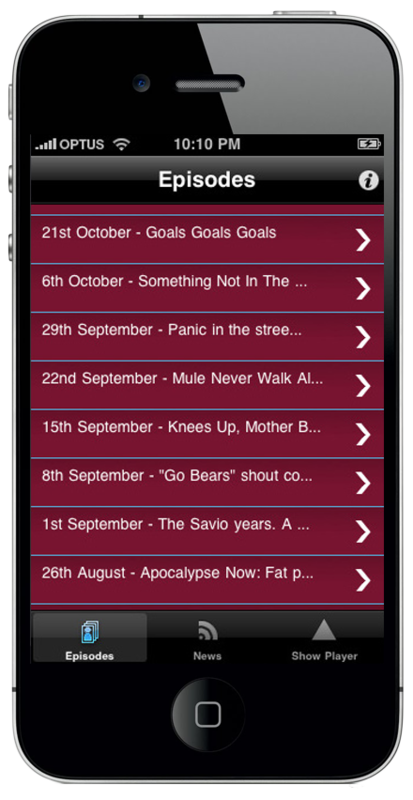 The UK’s most popular West Ham podcast is now available in a handy iPhone application so you can have it with you at all times on your iPhone or iPod Touch. Instantly download the latest podcast, review the archives and read the latest West Ham news as well! Not only does the Stop! Hammer Time app bring you Phil, Jim and guests (including Nick Frost, Phill Jupitus, Kriss Akabusi and West Ham United legends such as Frank McAvennie) on the podcast before you can get it anywhere else, it also keeps you up to date with the latest West Ham breaking news from the BBC, The Guardian and more. Get the podcast before anyone else – podcast feed updates instantly! No need to sync – no more messing about downloading the podcast to your PC, plugging your iPhone in the next day, waiting for the podcast to transfer and missing it for that really boring journey from work. Now with just a click and the podcast’s already waiting for you. No Computer Required – with no need to sync anymore, there’s no need to ever return to your PC again (except to do other things). So it’s perfect for keeping in touch with goings on at Upton Park, from wherever you are. Latest News – catch up on the latest news, as it happens! 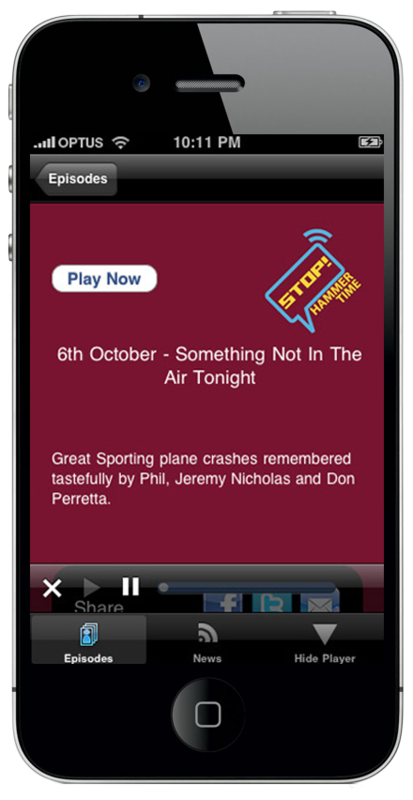 Instant mobile-optimised news feeds will update your eyes while your ears are busy with the podcast! Go Silent – use this app to pretend there’s a breaking West Ham story coming through when your ‘significant other’ starts telling you about a new handbag she’s seen! You may seem suddenly and inexplicably knowledgeable about the latest West Ham news and stats yet also break into fits of laughter in public places when listening to the podcast.